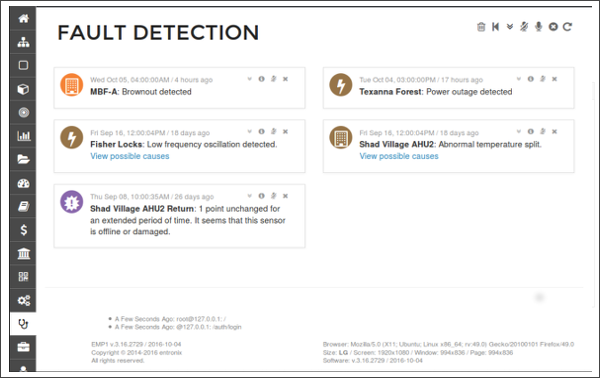 Because fault detection needs are varied, Entronix provides three different tiers: fault-detection rules, instant alarming, and artificially intelligent expert systems. Create your own simple customized rules using our easy point and click system or use existing rules experts have created. 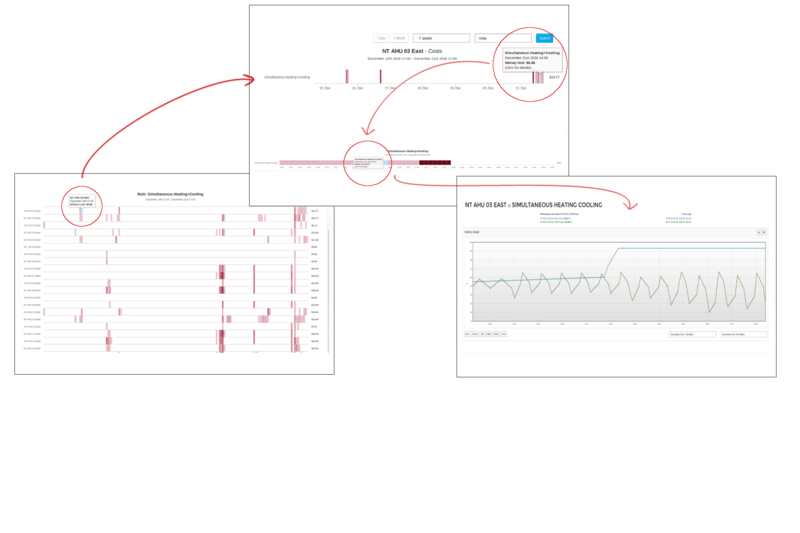 View all of your rules and faults in many different interactive graphs and tables. Management can receive customized instant or deferred notifications of faults through email or SMS messages. Sort by most severe faults affecting your system and your bottom line. An AI expert can analyze dozens of points at once and use historical point values in addition to real-time values to make it’s decision. 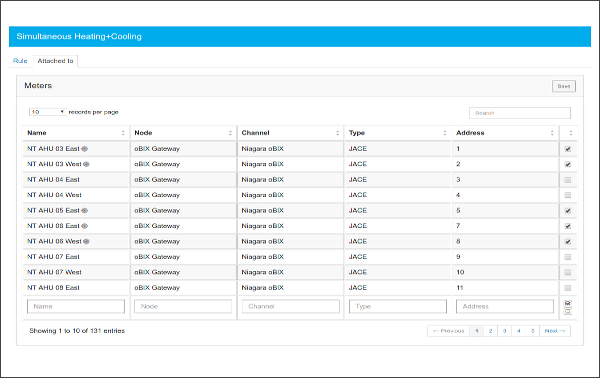 Easily drilldown into more advanced details of a specific fault using our interactive real time views. Create one or many rules to detect specific faults. Management can create their own simple rules or use existing rules created by experts enabling powerful fault detection and diagnostics. Quickly set which rules are applied to which meters allowing for full fault detection customization. 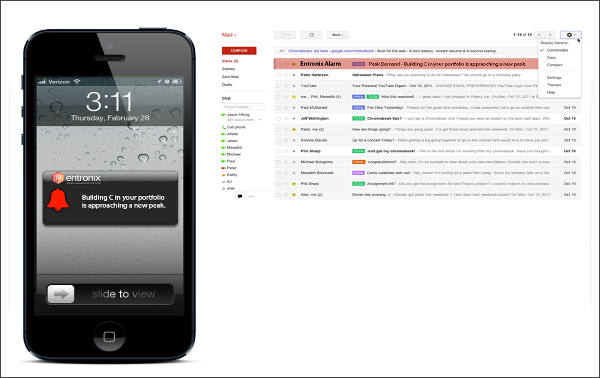 Receive email and SMS alarms and notifications. Management can choose how to receive fault alarms and which employees can receive these alarms. Alarms can be sent via email or SMS notification directly to your phone. These alarms can trigger instantly or be deferred to a time of your choosing. Let our AI Expert detect faults for you. Expert Systems provide users with the most sophisticated fault detection possible. An expert system can monitor how far a point deviates from the typical, when a point reaches a new maximum or minimum, when consumption patterns vary from a building’s norm, and more. Multiple different interactive ways to view faults. 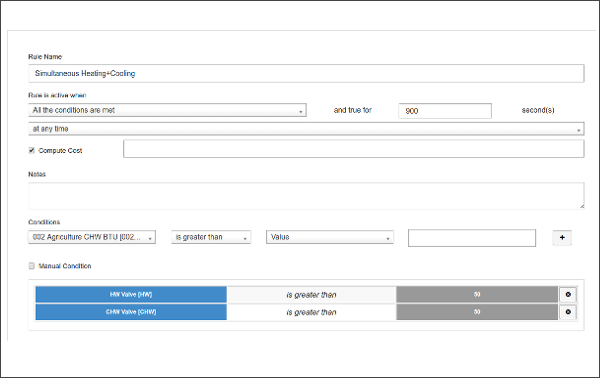 Our interactive charts allow management to view faults by meters, rules or date ranges. These views can be zoomed in and out of to represent exactly what management wants to see. Single out the most severe faults. 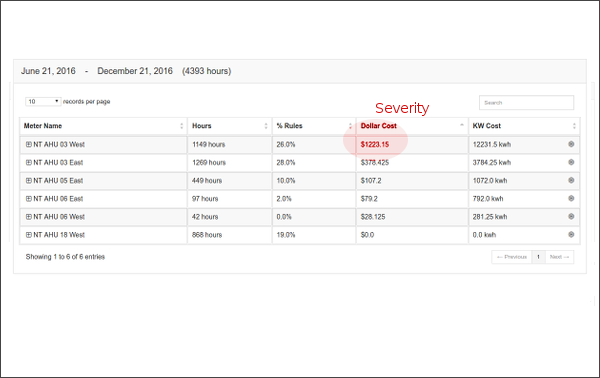 Our multiple views allow you to quickly sort by different categories, helping you to locate the most severe faults affecting not only your system but also your bottom line. Drilldown into each fault to show progressively more information. 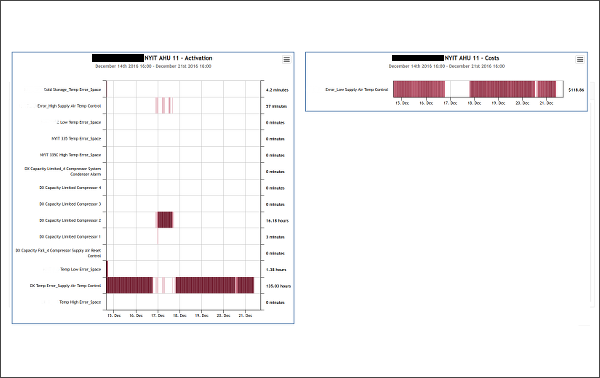 Our interactive charts allow management to drilldown (or zoom) into hours and minutes to find and understand the exact time the fault occurred.